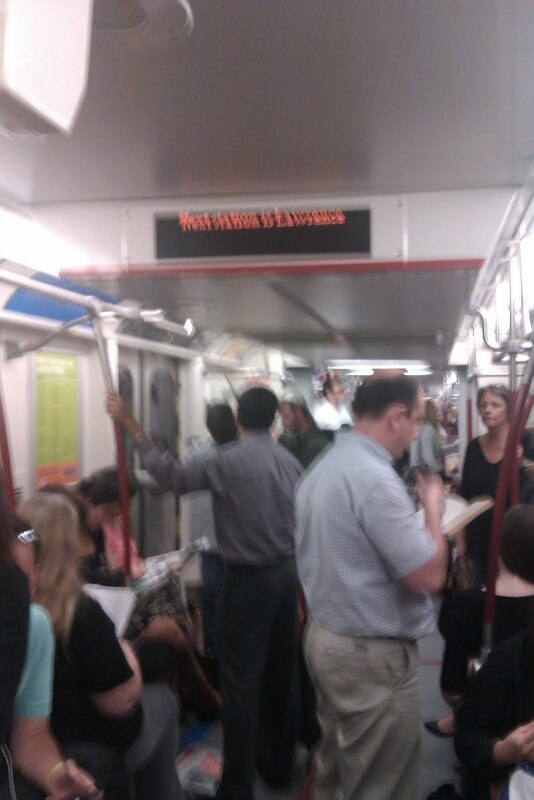 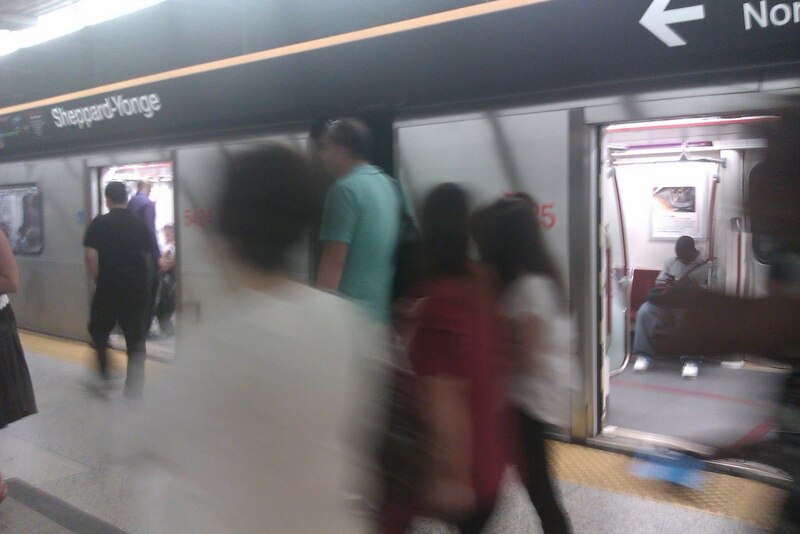 Our #TransitHubbing Adventures in Toronto: The New TTC Train - An Encounter! 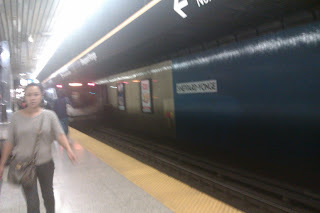 It somehow managed to escape us once before - rocketing through the subway tunnel at full speed, offering us only a glimpse. 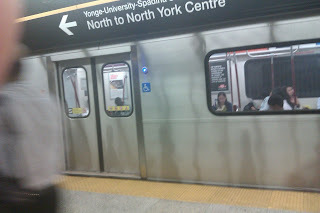 But on Tuesday, August 30, 2011, the goddess of transit finally smiled kindly on us. Not only did we get to see the sparkling, brand-spanking new TTC train - we got to ride inside of it, too - if only for a few stops. Enjoy the blurry, but genuine, photographic evidence of this underground legend! 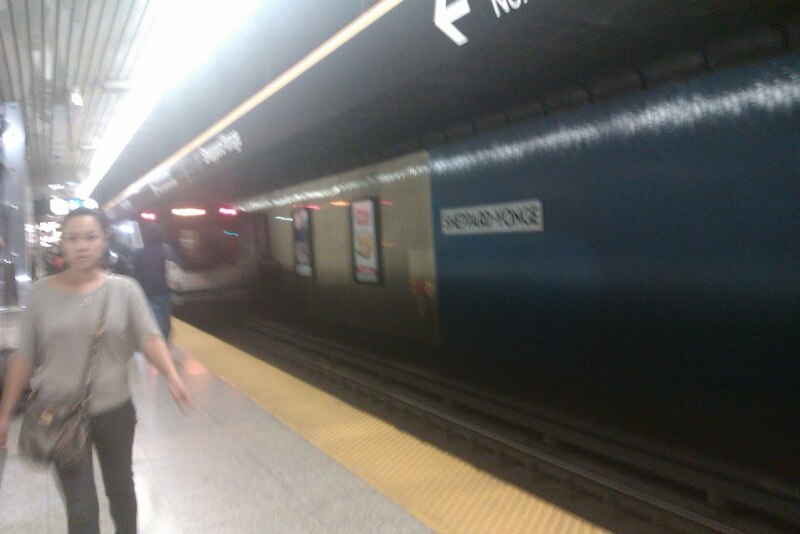 The sides are slick and smooth - not even a scratch!